Have Lil' Yogis NYC for your kids next birthday party! You choose the time, date and location and we will send one instructor or two to come host a fun-filled yoga party! We have two package options described below. Our instructors are fun and reliable and will be sure to host a fun-filled yoga party with plenty of games and activities! 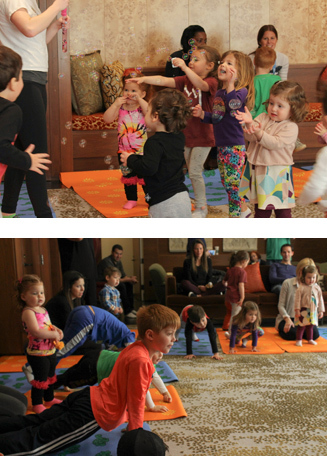 If you have a kid that loves to dance be sure to ask about our delux yoga hip-hop parties! For more information please feel free to email us at lilyogisnyc@gmail.com. For additional information please email us at lilyogisnyc@gmail.com.